Novak Djokovic has spoken of his shock at hearing that "great champion" Andy Murray is set to retire due to a hip injury. A tearful Murray revealed at a media conference in Melbourne on Friday that he plans to quit at Wimbledon in July but may not be able to continue playing beyond the Australian Open. 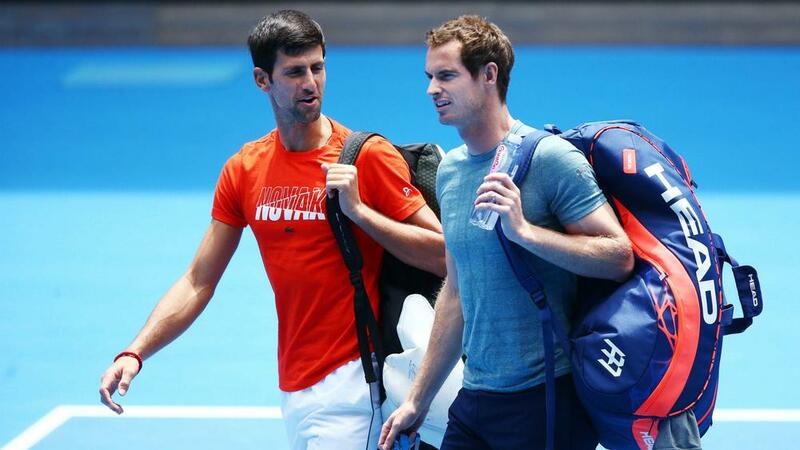 Djokovic and Murray were born just a week apart and have contested many battles over the years. The world number one expressed his sadness at discovering that Murray's career is coming to an end. "It's quite a shocker for me because we're the same age, same generation and it's kind of sad to see him going through what he's been going through in the last couple years with injuries." said the 14-time grand slam champion. "As someone who has been through a major injury with my elbow, I can definitely empathise with him and relate to what he's going through – obviously, probably the extent of his injury is even worse than mine - hips and he had a back surgery and so forth. "I trained with him, practiced with him a couple of days ago and got to chat a little bit. He's a great champion, he's a friend of mine that I grew up with, since we were 11, 12 years old we've known each other. "We've been rivals and played some epic matches all over the world, so it's kind of sad to know that he might play his last Australian Open but I do wish him all the best. I know he's the father of two children so there's a lot of things in life I'm sure to be grateful for."